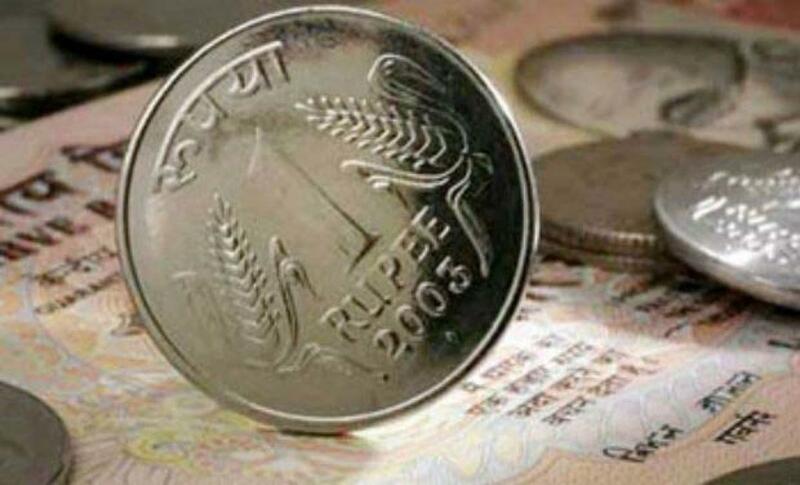 The rupee trimmed its initial losses to trade at 66.10 per dollar, down by 12 paise, in late morning deals in the midst of persistent bouts of demand for US currency from importers amidst weakness in global equities. The Indian rupee resumed sharply lower at 66.20 per dollar as against overnight level of 65.98 at the Interbank Foreign Exchange (Forex) market. It hovered in a range of 66.22 to 66.09 per dollar during the morning deals before quoting 66.10 at 1030 hrs. The dollar index currently trading down by 0.06 per cent at 96.13 as against a basket of six currencies. "Federal Reserve not hiking rates initially triggered global risk-on rally, but likely Fed lift-off in December and weak China PMI has reversed sentiment back to risk-off, a dealer said. Safe-haven buying has helped the dollar rally, the dealer said, adding that the rupee has been resilient with RBI presence on both sides and the USD-INR pair is expected to trade in a range of 65.95-66.25 a dollar today. Oil prices edged up after taking a hit in the previous session in response to a mixed US stockpiles report, but analysts warned that headwinds remained in place for the under-pressure commodity. Meanwhile, the benchmark BSE Sensex was trading lower by 40 points to 25,783.37 at 1035hrs.